Over on the SDRplay blog and forums OH2BUA has been sharing how he has set up ‘propagation triggered recording’ by continuously monitoring JT65/JT9 signals with his SDRplay. The idea is that you leave the radio on receiving all night, and set it to automatically start recording IQ files if good propagation conditions occur as determined by the locations received from the JT65/JT9 signal. This may yield some interesting far off stations that can be listened to in the morning, whilst weeding out hours where nothing but commonplace local stations are heard. The software is a simple Windows batch file that works together to coordinate HDSDR and JTDX. It should work with any HF capable SDR. 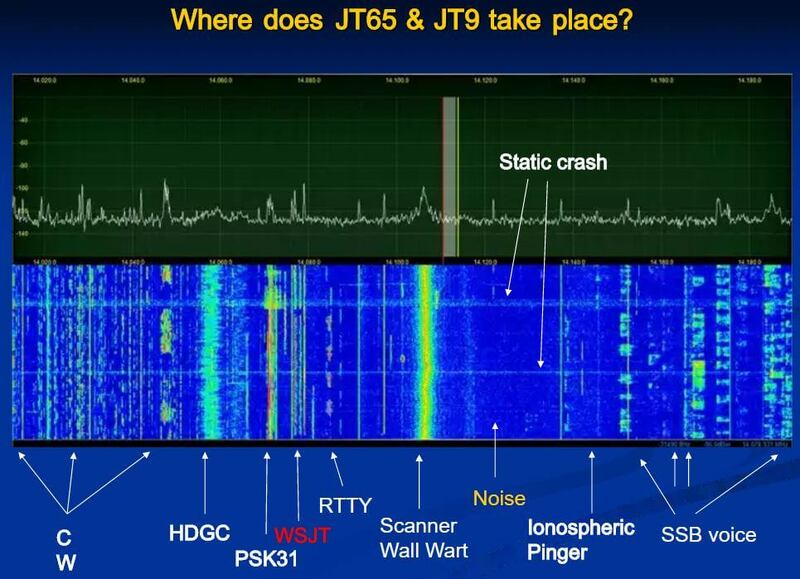 JT65/JT9 are weak signal propagation HF modes (also known as WSJT modes) that can be decoded all around the world, even with very weak reception thanks to strong digital error correction. They can often be used to determine propagation conditions by determining where successfully decoded messages are being sent from. There is an attached zip-file containing all the necessary stuff. Sorry this is a windows thing – but easily portable also for linux. Create C:\bat\ and drop all there. Have a look, starting from README. The default example is to start a MW-band I/Q-recording, if North American ham signals are heard – but it is fully modifiable according to your target when in comes to areas, bands, schedules etc. The files are available as an attachment to the forum post. What is the program in the image above? You are the author post? Where did you get this image? The source for the image is linked just below the image, in the caption.